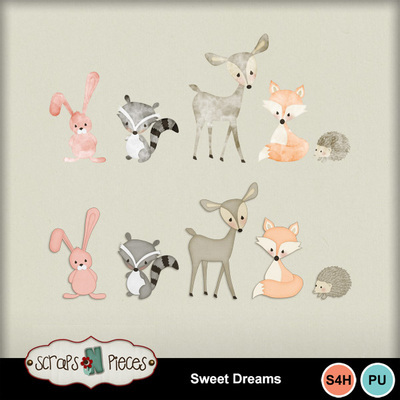 Sweet Dreams is a soft and snuggle scrapbooking kit, perfect for those new babies in your life. The pastel color palette strikes the perfect balance between color and neutrals: mostly creams, tanks, and browns with pops of pink, blue, orange, and green. Every single element and paper has been perfectly designed to complement without distracting – lightly patterned papers, smooth cardstocks, and tiny Swiss dot 'solid' papers; woodland creatures, flowers, ribbons, and ephemera; thematic word art, and a thin alpha that can grow with your subject. Not currently scrapping a small and special someone? Sweet Dreams is perfect for quiet playtime layouts, beloved childhood memories/heirloom scrapping, or even just stretching your stash. So shhhhh! 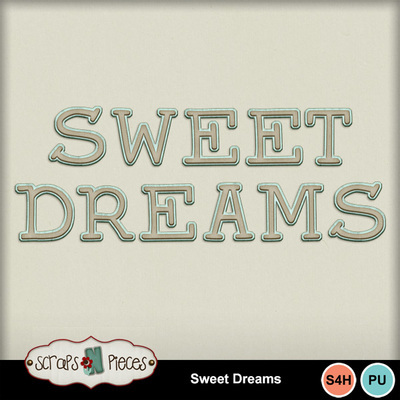 Take a quiet moment to scrap while your loved ones and resting and bring those dreamy stories to life with Sweet Dreams.